Neal Morse exercised no restraint with his latest musical Jesus Christ – The Exorcist. This production was possibly his most expansive epic to date. But would you expect anything less from Neal who was backed by a rock band, a full choir, horns, a string section and multiple singers. Prior to Morsefest it was announced that Frontiers Music Srl with Neal will release Jesus Christ -The Exorcist as a double disc in 2019. The 5th Annual Morefest was by all accounts another success in Cross Plains. 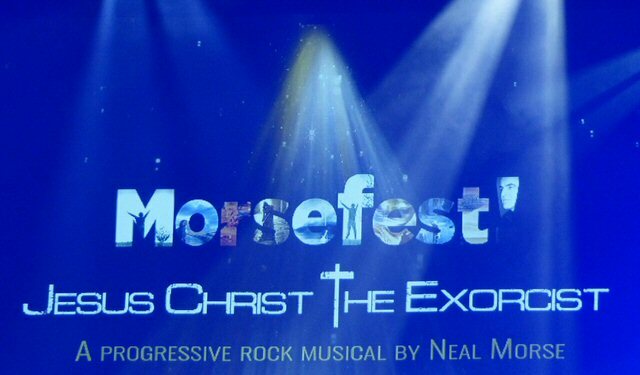 Saturday, September 15, 2018 was the World Premiere of Jesus Christ – The Exorcist a musical written by Neal Morse and performed by a Prog Rock all-star cast! 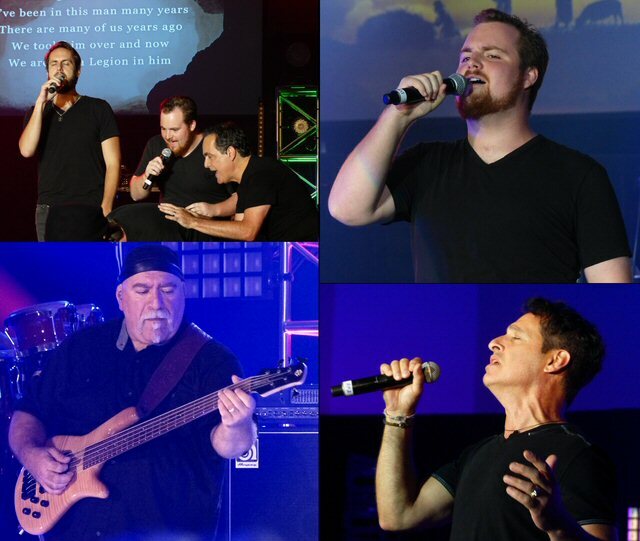 Neal Morse (keys, guitar), Paul Bielatowicz (lead guitar), Bill Hubauer (keys), Randy George (bass), and Eric Gillette (drums). Featured vocalists included Ted Leonard (Spock’s Beard, Enchant), Nick D’Virgilio (Big, Big Train, Spock’s Beard), Jake Livgren (Protokaw), Matt Smith (Theocracy), Wil Morse along with guests John Schlitt (Petra) and Rick Florian (White Heart). 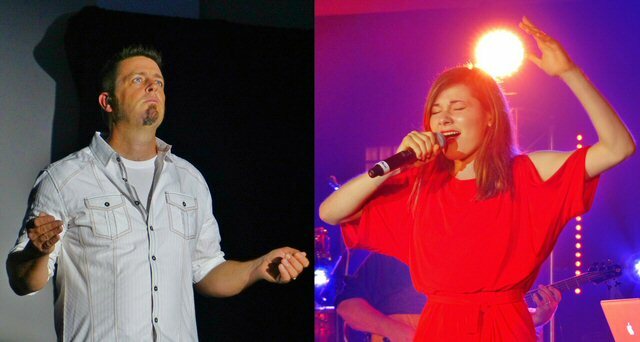 The annual Morsefest took place September 14 and 15, 2018 at New Life Fellowship in Cross Plains, Tennessee. Friday’s event was entitled “Voices Of The Beard-Storytellers Part 2.” This concert focused on the influences and music of Spock’s Beard’s lead vocalists Neal Morse, Ted Leonard, and Nick D’Virgilio. The trio joined by Eric Gillette and Randy George shared the stories behind the songs from their solo, band, and Spock’s Beard catalogues. Saturday’s show was the first time that fans experienced Jesus Christ – The Exorcist. 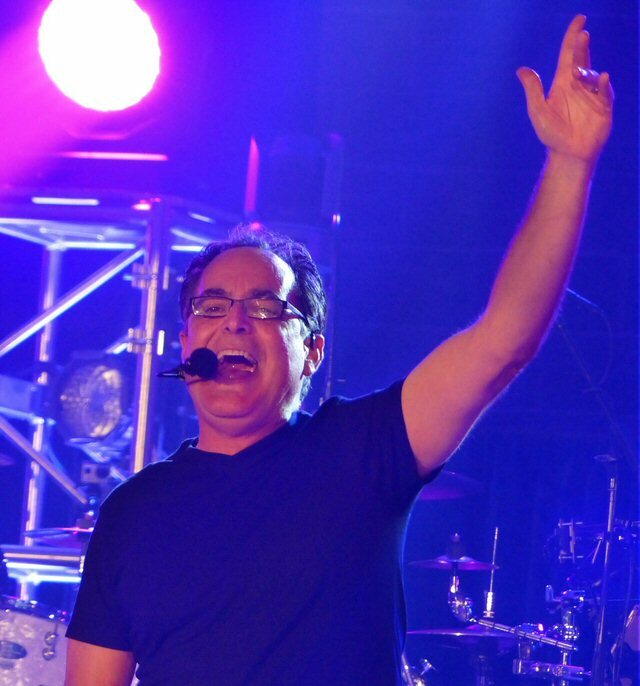 Neal Morse at Morsefest – the prog rock pastor does it again. Around 7:30 pm Neal greeted fans, then thanked the church, its pastors and all the people who helped put Jesus Christ – The Exorcist together. Morse explained that they were going to perform the encore first. He shared that “The Great Nothing” from V was written in the 1990’s when Neal had a more New Age perspective on things. At that time he considered music his savior. His beliefs have since changed but he still feels that the piece is powerful and they presented it in all its prog pageantry with plenty of complex chord changes and progressions. After a short break, piped in music and smoke kicked off this passion play. Lighting and videos were used to full effect during the show. This included all the lyrics to the songs which was a plus as folks were not yet familiar with this material. Ted Leonard as Jesus; Talon David portrayed Mary Magdalene. Neal’s compositions were lavish and lengthy. During the concert Neal explained that as he was reading the Gospels he noticed how many evil spirits Jesus exorcised. Thus, Morse’s musical focused mainly on those miracles. The opera also followed pivotal moments in Jesus’s ministry which included his baptism, his 40 day trial in the desert, the Last Supper, the crucifixion and a joyful resurrection. Songs were also performed from the perspectives of Judas, Peter and the Sanhedrin. As we were taking in all this spectacle the thought crossed our minds that parts were catchy and compelling enough to be sung in churches on a Sunday morning if Neal would consider condensing some down from their present long-form prog arrangements. Since Jesus Christ – The Exorcist has not been recorded yet Morse could put down the tracks as written then make a few edits to fit a radio format. Neal has proven that he can compose short tunes with Songs From November being a prime example. We realize that this suggestion might be consider blasphemy to more progressive ears. But, narrow is the gate and it would be amazing to hear more of Neal’s music on the airways and in the church. 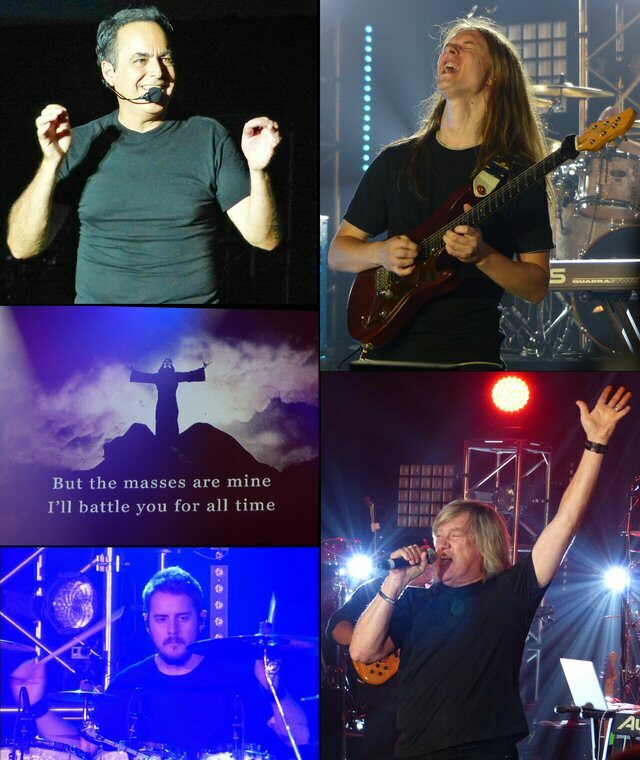 Neal Morse, Paul Bielatowicz on lead guitar, John Schlitt and Eric Gillette on drums. If there was anything simple yet still effective in Jesus Christ – The Exorcist it was the costumes. All the artists were clad in black. Jesus wore a white shirt and the devil was sporting red. Mary Magdalene with her dancing demons transitioned from “evil” colors to white after their encounter with the Messiah. Since this was a musical rather than a play Neal encouraged us to visualize some of the actions. When Jesus defied the Devil it was a vocal battle backed by the blistering band. Imagination was also useful when Jesus challenged the a-cappella Legion. 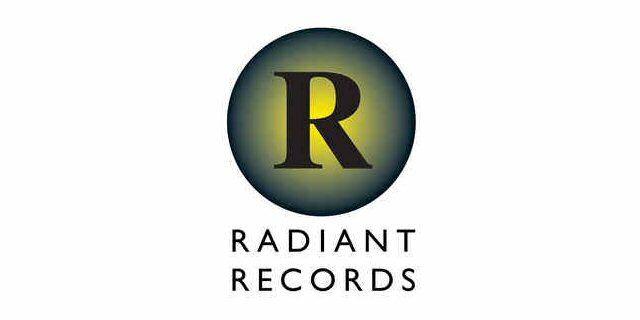 Neal Morse with his talented team exercised no restraint with Jesus Christ – The Exorcist. This religious prog rock opera was a musical odyssey dedicated to the Lord. It was inspiring, intense and most importantly it reminded that Jesus Saves thus ending another MorseFest on a high note with an even higher calling. 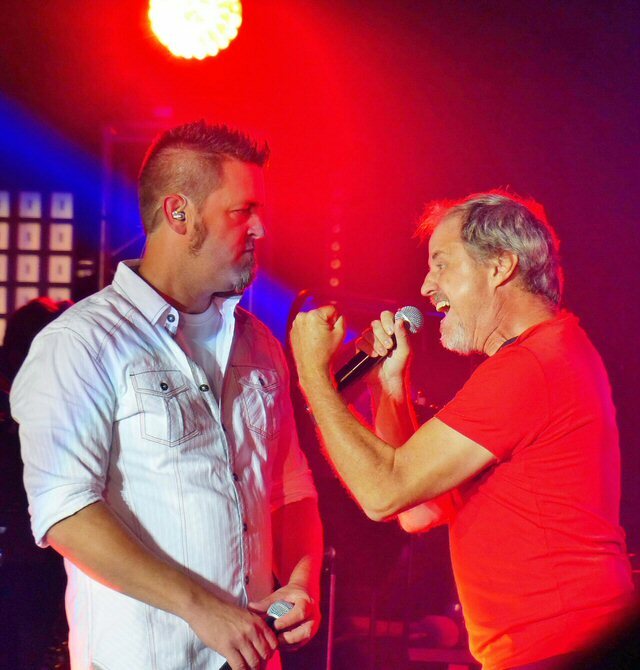 Rick Florian: The Devil went down to Tennessee. Wil Morse, Nick D’Virgilio, Randy George and more of the cast. 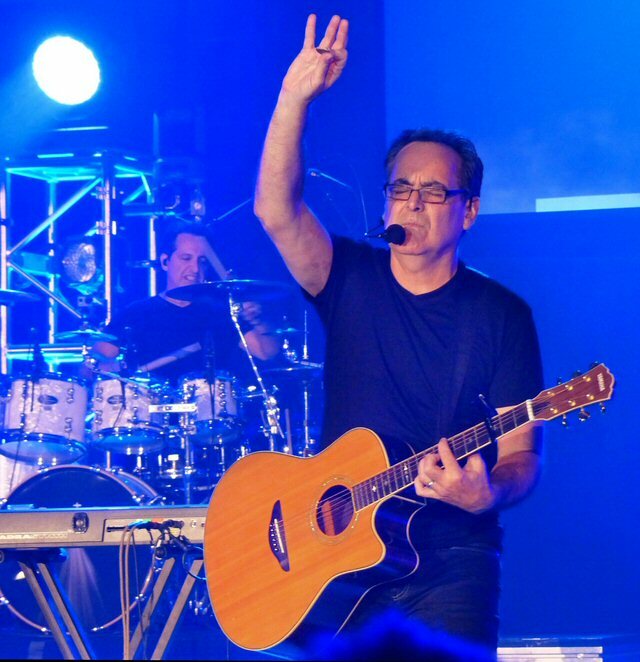 Neal Morse presented a powerful and prayerful night of prog rock.